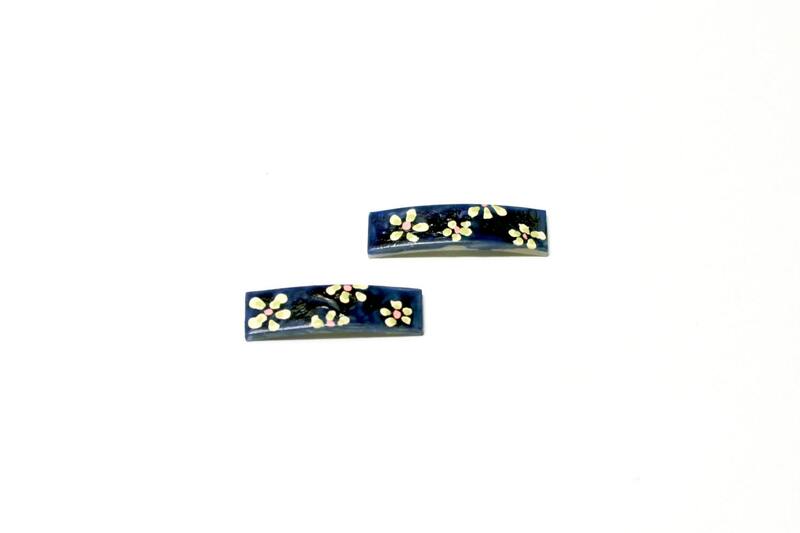 You will just love these Super Mini Hair barrettes, Handpainted with tiny daisies on a indigo blue background. 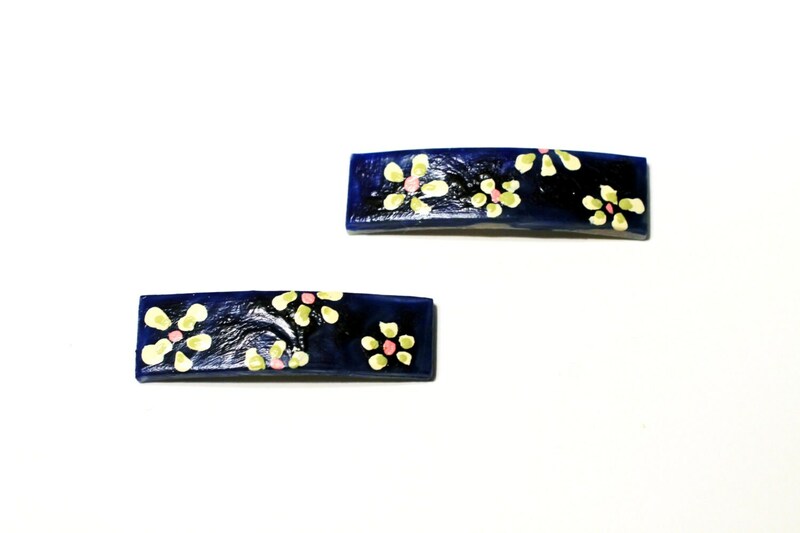 These are perfect for side bangs or pops of color. Liz was terrific. My hair has had a makeover. Will be back. Thanks so very much.